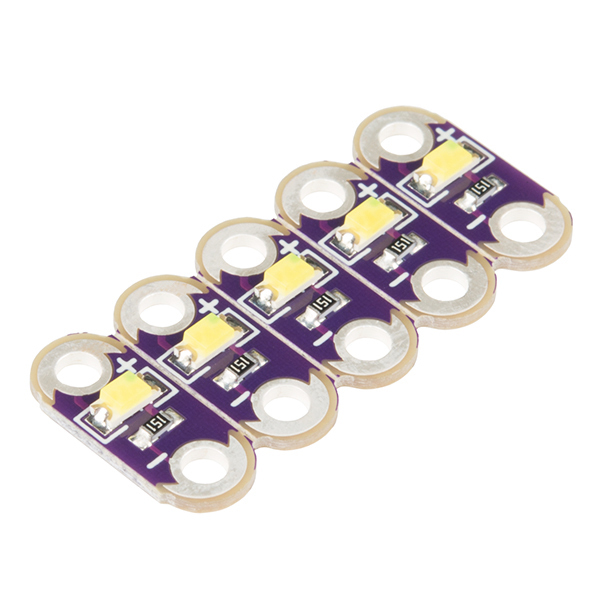 One of the most commonly asked questions when getting started with e-textiles is “How many LEDs can I put in my project?” In this guide, we will cover conductive thread’s resistance and how that affects powering LEDs, calculations to predict battery and power requirements, and some construction tips. One of the most important things to consider when building a wearable project is the resistance of conductive thread. 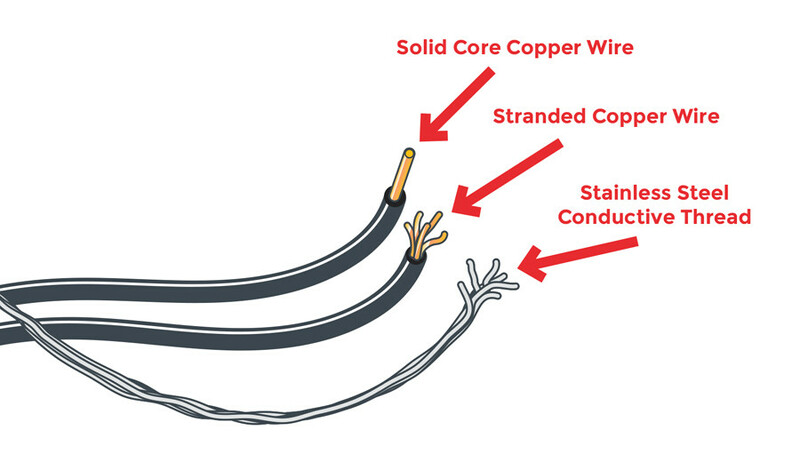 Unlike copper wire, which has very little resistance, conductive thread’s resistance will vary depending on the metal used to make the thread and the thickness of the thread. Most conductive threads list resistance in Ohms/Ft. The lower this number is, the better, because less resistance means more electricity can get through to the components used in your project. Don’t forget to insulate the fabric traces as you would conductive thread. Thus, an e-Textile battery will only power the project for approximately half an hour. Here’s an instance where a larger capacity battery would make sense, if the project needs to operate for a long time, such as during an event or showcase. The trade-off is that a higher capacity battery is also physically larger – make sure to plan accordingly for proper battery storage/attachment on your project to reduce strain on the wires and fabric. All example batteries will link to our webstore.